Last month I came across an article about how Finland are set to release country-specific emojis for use on smartphones. They are, in fact, the first country in the world to launch their own emoji sticker set! The set has been gradually rolled out advent calendar-style, and tomorrow (December 24th – the Finnish Christmas) all of the emojis will be available to download. Among them are a headbanger, a Finnish sauna, and the Nokia 3310. You can see them all here! So, in the spirit of Weihnachten and all things light-hearted and upbeat, I thought it would be fun to imagine which emoticons Germany would have if they launched their own emoji sticker set! I know that the iPhone has a hot dog emoji, but I‘ve got an Android (Samsung) phone, and there isn’t actually ANY kind of sausage emoji on there. But, famed for its Currywurst, Weißwurst, Bratwurst, Leberwurst and more, if any country should have a sausage emoji, it should surely be Germany! Another obvious choice, but again, one whose omission from the current list surprises me! 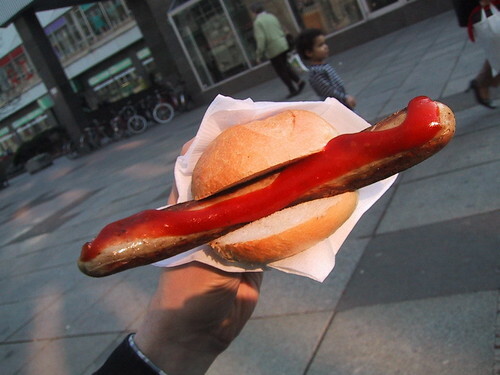 Now, who doesn’t think of Germany when they see one of these? I think the Brezel would make a pretty cute little emoji, don’t you? Like the U for underground here in England, the S-Bahn and U-Bahn symbols are immediately recognisable to any German, and should therefore be included in the travel section of our German-themed emoji set. S-Bahn stands for Stadtschnellbahn (‘city quick railway’, or suburban trains) while U-Bahn stands for Untergrundbahn – underground railway. 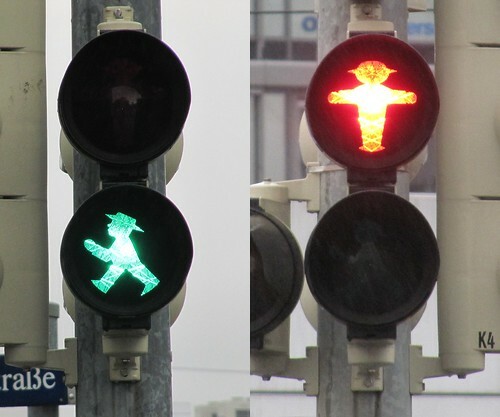 Another famous symbol of Germany – in particular of Berlin and the former DDR/East Germany – the Ampelmann was created in 1961 as a pedestrian crossing and became such a well-loved figure that he managed to survive unification and remain as he was to the present day! You will see this little man all over Berlin, both on the pedestrian crossings themselves and in souvenir and gift shops. My phone’s ‘people emojis’ include Santa, the devil, a dancing man, and one of the Queen’s guards. I guess the last one is typically British. So for the German version, what else could we have in this section but a Lederhosen-clad man, and a Dirndl-clad woman? 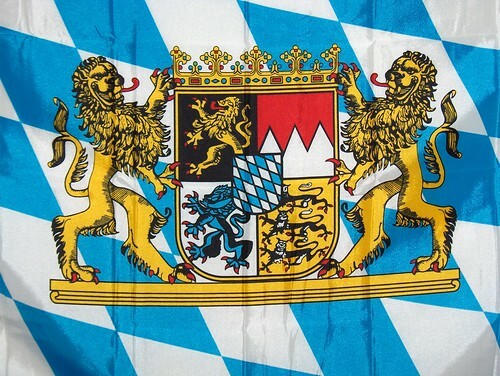 OK, so I’ll be the first to tell you that the Lederhosen and Dirndl are regional dress worn only in Bavaria, but you can’t deny that this is what people think of when they think of German people! My phone has the Eiffel Tower and the Statue of Liberty amongst its buildings and landmarks. 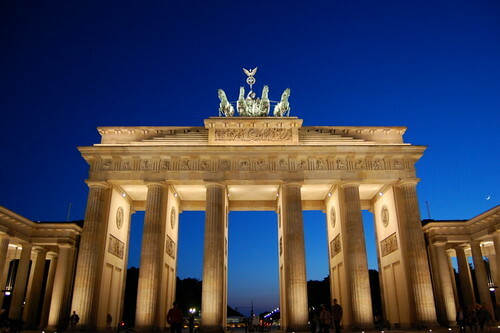 Our Germany-specific set would definitely include its capital city’s famous Brandenburger Tor (the Brandenburg Gate). 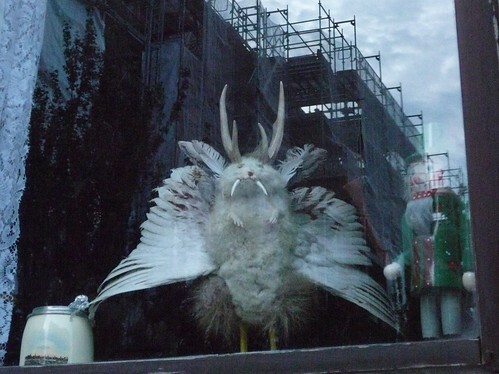 In the animals section, there’d be the Wolpertinger. A mythical creature from Bavarian folklore, this is a hybrid animal that inhabits the alpine forests of Germany. It comes in different forms, but it may have, for example, the head of a rabbit, the antlers of a deer, the wings of a pheasant and the body of a squirrel. You might see stuffed versions of these ghastly-looking ‘animals’ hanging up on the wall of a traditional Bavarian house or restaurant. As well as the German flag, what also already exists is what I call the ‘Prost’ emoji – the two beer glasses clinking together. ‘Prost’ is the German way of saying ‘cheers’ when you clink your glass with someone. Who doesn’t think of Oktoberfest when they see that one? So there you have it! Do you think Germany should follow in Finland’s footsteps and create a country-specific emoji set? If so, what would you like to see in it? When I began reading, I had an anxious moment that my personal favorite, Der Ampelmann would be missed. Yes, in all his glory. We have cookie cutters of the two figures. There is another I might suggest. 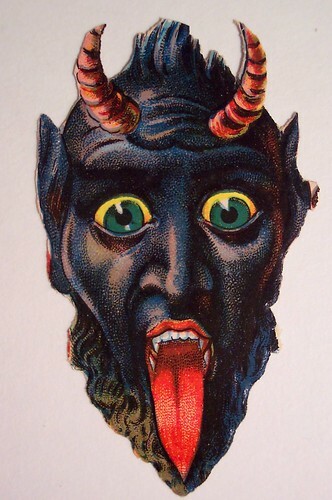 If we have Krampus, how about Struwwelpeter? I want Backpfeifengesicht. That would be a very useful emoji!!! I’d love it if these German emojis existed! Great ideas! Yes, nice list for new symbols. I would suggest Ruprecht who is associated with Santa in some Germanic areas. He beats/punishes naughty children instead of giving them presents. I learnt of Ruprecht many years ago when I was at university learning German as an additional subject to my English Degree. The tutor who mentioned Ruprecht was originally from Silesia. She was a real font of knowledge as is Transparent. Not many days pass without I visit this site. I find lots to interest me apart from keeping my German from becoming completely rusty! For me, it is one of the best language/information sites.